Nadia is a Senior Accountant at our firm. She holds a University Degree in Accounting and speaks English, Russian, Romanian, Bulgarian, and French. She has eight years of accounting experience and five years in public practice. She is a very talented professional, whose responsibility includes training, supervising, and quality control on each engagement. 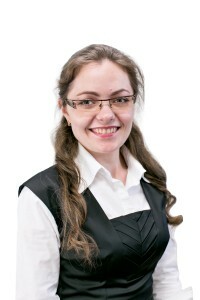 Nadia is passionate about accounting and her professionalism is definitely an inspiration for everyone at our firm. Restaurant in Hamilton: I prefer to cook at home.